Charlie Brown wants to start his life over with a clean slate and show people he's a winner. Unfortunately, all his attempts at coming out on top, including practicing his baseball pitching, learning to dance and trying to impress a new girl, all fail. 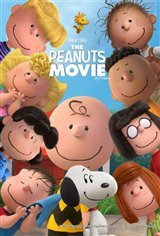 However, he's encouraged along the way by his faithful dog Snoopy, and joined on the big screen by his best friend Linus and the rest of the gang, including Schroeder, Pig-Pen, Peppermint Patty, his sister Sally and Lucy.